Just Ripe Farm is a small diversified vegetable farm located along Lamb’s Creek in Brevard, North Carolina. At Just Ripe Farm, we use sustainable growing methods to grow a variety of flowers, plants, herbs and vegetables. You can find our produce at our farm stand and local restaurants. We also regularly host events such as community meals, fall festivals and experiential classes. Just Ripe Farm is also home to Pisgah Collective, an Outdoor Early Childhood Education program. Pisgah Collective's mission is to empower children through positive and child-centered programs that foster the cultivation of autonomy, belonging, respect, and curiosity. Please check our facebook and instagram for regular updates, and come visit the farm stand during our open hours. The farm is conveniently located 1 mile from the entrance to Pisgah Forest and across the street from Oskar Blues Brewing Co. The farm is owned and operated by Rachel Kinard. Rachel grew up in South Carolina and went to college at Montana State University. She was introduced to farming through WWOOF (Willing Workers On Organic Farms) and spent a few years working all farms on the east coast. 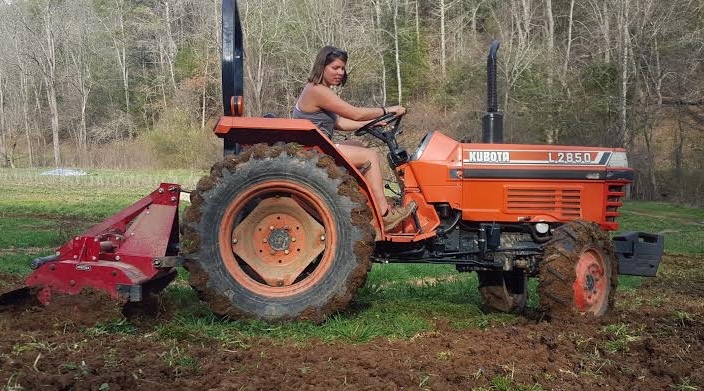 After gaining some valuable farming skills, she started leasing land in 2012 in Weaverville, NC. In 2017 she moved to Brevard and started farming there. The farm stand was built in the fall of 2017 and opened in the spring of 2018.